I’m in awe of my friends in the military. I’m honored to know men and women who have fought in the past, or are currently battling the enemies of the United States. Depending on the circumstances, special forces teams have provided the cutting edge of victory time and time again, risking their lives that others may live in peace and freedom. Commander Gage in The Ghost of Africa is just such a man. He knows what must be done and, even though it may cost him or his men their lives, he forges ahead with the selflessness required to be successful on enemy front lines. But Gage is more than brave—he’s a master strategist and leader. He has a goal—a task to which he has been assigned, and he will carry it out regardless of the circumstances. You’ll want to meet commander Gage. 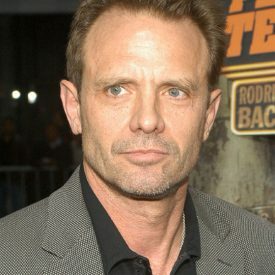 He is most accurately depicted by actor Michael Biehn. The Ghost of Africa is on sale on Amazon!